Adulting is hard. Sometimes we just “can’t even”. How are you supposed to know if you’re doing it right? Does your supervisor respect you even though you’ve clearly worn the same navy blue blazer to work for 3 days straight. Who has more than one blazer, anyway? Are your parents going to trust your life choices when you bring home your new 35-year-old boyfriend who beatboxes in a punk ska band? Absolutley not. 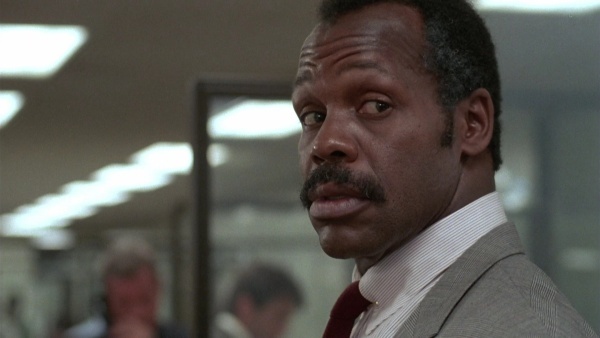 Murtaugh has no time for your nonsense. The gang on “How I Met Your Mother” started the trend of creating The Murtaugh List. Named for Danny Glover’s character in the Lethal Weapon action films and his signature catchphrase “I’m too old for this…”, The Murtaugh List is a list of things you should avoid if you want to be a real adult…or at least look like one. So here’s your list. Because you really are getting too old for this…stuff. 1. Tax Evasion. Filing your taxes is soooo hard especially when your dad won’t give you the number to his “guy”. That is NO reason to avoid your taxes. It doesn’t end well… just ask Wesley Snipes. Now pour yourself a heaping glass of wine, log into TurboTax and watch you’re tax return grow. 2. Killing Your Succulent. I know. You can barely keep yourself alive let alone this drought resistant desert plant but think of how grown-up your apartment will look with other living things inhabiting it aside from that mold creature that used to be General Tso’s chicken sitting in your fridge. The Waterbug app will remind you that you have a mouth to feed other than your own. 3. Wearing Axe Bodyspray. You should’ve never started wearing it. You wonder why everyone on the subway leaves once you walk in. You can tell yourself it’s their stop but…it’s not their stop. It’s you. It is time to graduate to a real man’s cologne. 4. Tattooing your Face. Ask yourself : What Would Justin Beiber Do? Then do the opposite. 5. Serving Your Dinner Guests Pork Rinds. Your guests will side-eye you for years to come. Order from Seamless or Grubhub and pass it off as your own cooking. No one is going to question whether or not it was possible for you to make an entire 4 course Sushi meal. Their mouths will be too full. 6. Spending Your Entire Paycheck on Beyonce concert Tickets. …TBH, who wouldn’t? But before you do, budget it out so you’re not eating pop tarts for dinner for the next year. Mint is a great way to keep track of your funds even though we’re all giving Beyonce all of our money at the end of the day. 7. Getting Locked Out of Your House. Luckily for us selfie taking, one-blazer owning, perpetually-late millennials stuck in arrested development, we don’t have to worry about getting locked out ever again. With KeyMe, you can scan and save your keys to the app and have them made at any of the 100s of kiosks around the country. It’s a super simple (drunk friendly), secure and convenient way to make copies of keys. So before you lose them in that UberX you made out in with that punk ska beatboxer, scan those keys like the responsible adult you are.